Special deal: Get $20 off when you activate with any of the Unlimited International Talk, Text & Data plans which start with 2 GB of data at 4G LTE speeds and go up to 10 GB of data depending on which plan you choose! Below you may purchase a Simple Mobile SIM card at $5 for the card and $30 for a $40 plan, $40 for $60 plan and $50 for a $70 International Plan by choosing your preferred option in the combo box! No contract, no obligation! Uses T-Mobile towers. Compatible with Unlocked and T-Mobile phones. Simply order and we'll activate your plan as soon as you've let us know that you've received the card and are ready to put or already have your SIM card in your phone. You have purchased your plan at a discount through our site, please email or call us only for the activation. This discount is through our site and company only. 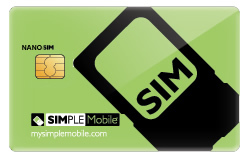 We save your SIM card number to make your activation simple. 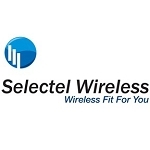 After your initial month you may purchase refills from us directly or any other Simple Mobile dealer you wish. For convenience we can put you on Auto-renew upon request. the high-speed data threshold, your data speeds will be reduced for the remainder of the 30-day cycle. High-speed data is restored once a new 30-day card is redeemed at the end of the 30-day plan cycle. Other restrictions, terms and condition of service apply. **4G/4G LTE networks are not available on all devices and in all locations. 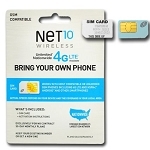 4G/4G LTE networks require a capable device and SIM card. Actual availability, coverage, and speed may vary.